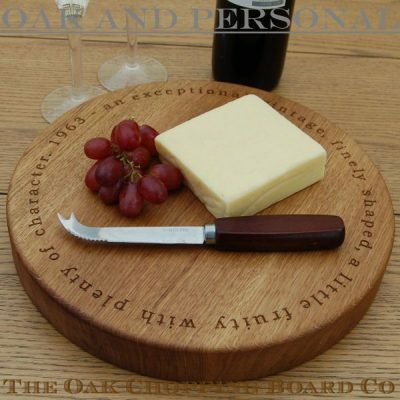 We offer a wide range of personalised kitchen boards, chopping boards, personalised carving boards, personalised cheese boards and personalised bread boards, all hand crafted from prime English or European full-length stave oak, engraved to your exact requirements. 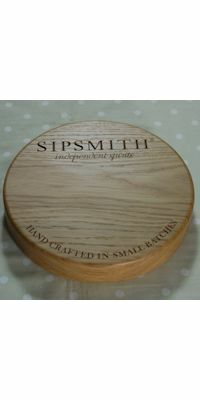 Available in different sizes and four thicknesses (1.8cm, 2.7cm, 4.0cm and 5.5cm), all engraved chopping boards may be personalised with engraved text, motifs or ciphers, with the engraving limited only by your imagination. 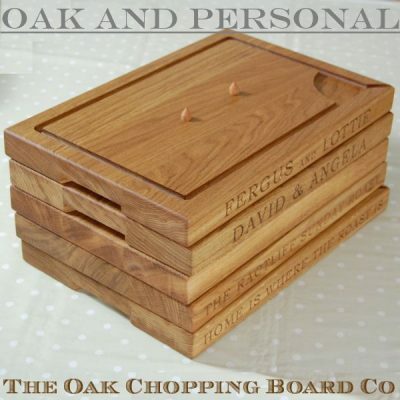 Any of our engraved chopping boards will make the perfect personalised gift, whether it be for a landmark birthday, wedding, anniversary, new home or many other occasions. 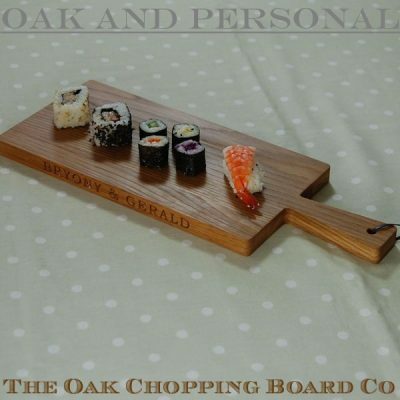 As well our extensive range of engraved chopping boards, we also offer a range of paddle serving boards for those looking for a board with a difference. 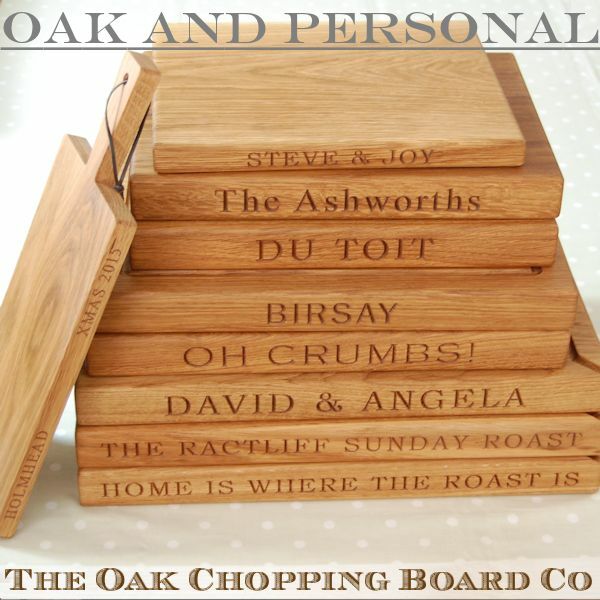 Available round, square or rectangular, they are 1.8cm thick and provide all the engraving possibilities of our full range of personalised chopping boards. 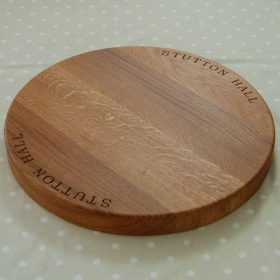 The most recent addition to our range of kitchen boards is “The Long Board” rustic serving board. 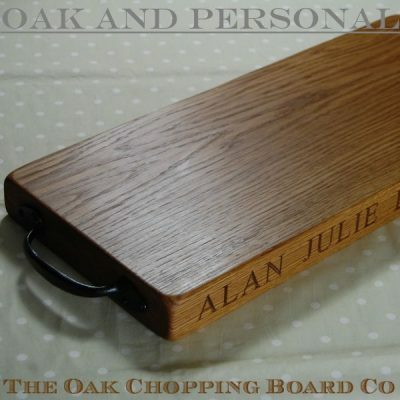 This is a large, heavy board being 5.5cm thick, and comes complete with hand forged wrought iron handles fixed at each end. 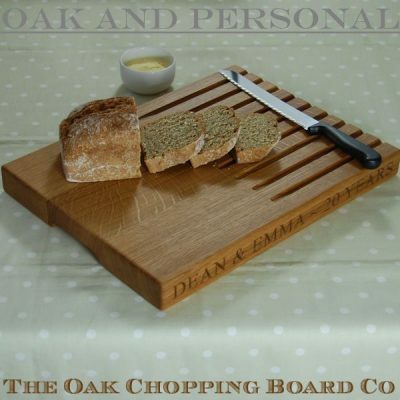 This style of board has been further extended with our Rustic Board Collection, with all boards incorporating hand forged wrought iron handles. 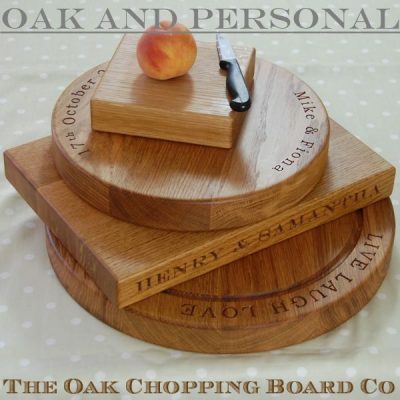 If you would like assistance with particular design ideas, or have questions regarding our beautiful personalised wooden chopping boards, we are more than happy help. Call us today on 01903 650540 or email us.